Smile to the World and the World will smile back at you. Almost two millennia ago, the apostle John was exiled on a small, rocky island in the Aegean Sea because of his faithful witness to the gospel. The aged apostle endured all the hardships of Roman imprisonment. On one particular Sabbath, he had a special visit from Jesus Christ, who came to encourage His servant in his suffering. In a series of visions, Jesus showed him the panoramic history of the church and what God’s people would experience as they waited for their Lord’s return. What John had seen in vision he faithfully recorded in a scroll that he titled “The Revelation of Jesus Christ” (Rev. 1:1). The book that he wrote reveals Jesus’ work in heaven and on earth since His ascension and what He will do when He returns. It was intended to assure Christians through the ages of Christ’s presence and to sustain them as they experience the trials of daily life amid a fallen world immersed in the great controversy. This quarter, we will delve into this book. In broad brushstrokes we will focus on the book’s major parts and themes. The idea is to become familiar with the book’s key themes and to see that it, indeed, reveals Jesus Christ, His life, His death, His resurrection, and His high-priestly ministry in behalf of His people. 1. Our study of Revelation is based on the biblical concept of the inspiration of the Bible. While the messages of the book came from God, the language in which they were communicated is human. Noting language and images derived from the history of God’s people in the Old Testament, we will discover how John communicated those messages. 2. A careful reading of Revelation’s prophecies (like those of Daniel) shows that the historicist method of prophetic interpretation is the correct way to understand the prophecies’ intended fulfillment, because they follow the flow of history, from the prophet’s time to the end of the world. This method illustrates how we should make every effort to derive meaning from the text itself, rather than imposing a predetermined interpretation upon it. a. Revelation 1:1–3:22 employs the situation of the churches of John’s day to prophetically address the situation of the church in different periods of history. b. Revelation 4:1–11:9 repeats (or recapitulates) and builds on this history of the church, using apocalyptic symbols that add progressively more detail. c. Revelation 12:1–14:20 is the thematic center of the book and spans the history of the great controversy from before the time of Jesus to the Second Advent. d. Revelation 15:1–22:21 focuses exclusively on the end time. 4. 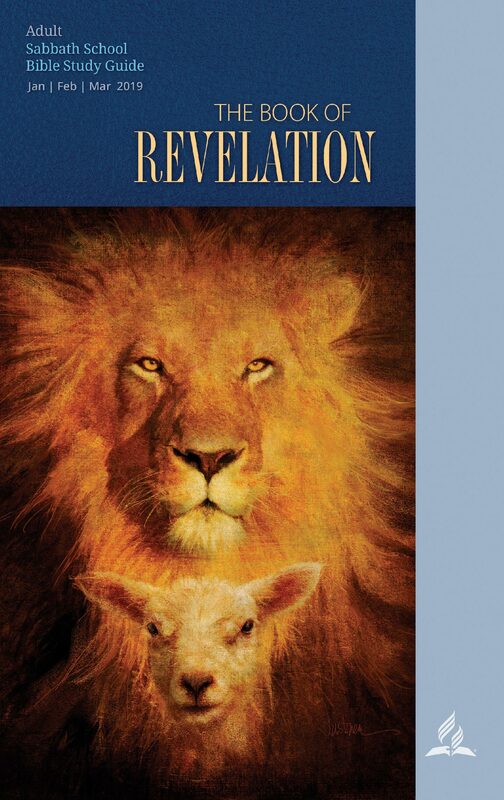 A meaningful interpretation of Revelation’s prophecies must be Christ-centered. The entire book was written from the perspective of Christ. It is only through Christ that the symbols and images of Revelation receive their ultimate meaning and significance. Revelation promises blessings to those who read or listen to its words and who heed and keep the admonitions found therein. “The book of Revelation opens with an injunction to us to understand the instruction it contains. ‘Blessed is he that readeth, and they that hear the words of this prophecy,’ God declares, ‘and keep those things which are written therein: for the time is at hand.’ When we as a people understand what this book means to us, there will be seen among us a great revival. We do not understand fully the lessons that it teaches, notwithstanding the injunction given us to search and study it.”—Ellen G. White, Testimonies to Ministers and Gospel Workers, p. 113. As we analyze this book, we invite you to discover for yourselves the things that you need to hear, and heed, as we await the coming of our Lord Jesus Christ.